MBOPos is affordable, secure, easy to learn, and straightforward to use. Not just a POS system, MBOPos is also a complete retail management solution that combines supplier management, inventory management, selling management and customer management in one. Advanced search function and Plentiful Sales Reports are also provided. 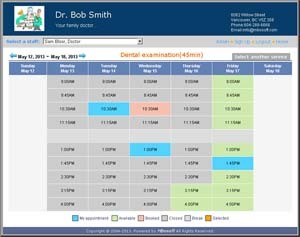 Online Appointment scheduling System makes it easy for you to manage your appointment scheduling and for your customers to book services on the web. Do you offer services in a class format? Do clients enroll into courses? Are you a driving instructor, hairdresser, a dentist, or a lawyer? No matter what your business model, MBO Scheduler allows you to schedule all your services stay in control of your schedule. MBO E-Commerce Solution provides a reliable, secure shopping cart solution for your ecommerce website. The shopping cart allows you to accept credit cards and PayPal payments. It's professional, powerful and Flexible. 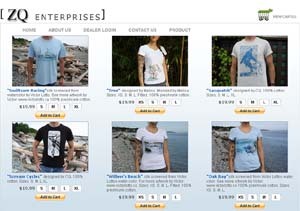 It's easy to set up a new online store or integrate into your existing site. Copyright © 2015 by vanbusiness. All Rights Reserved.